MRC's State of the Indian River Lagoon Report Coming Out in 2018! 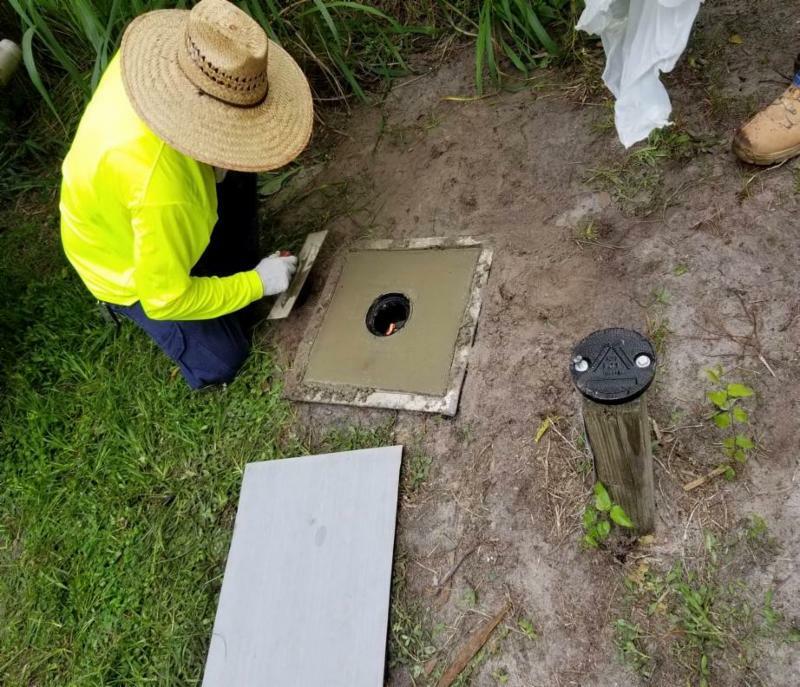 Working with our scientific partners, MRC has conducted the first comprehensive, lagoon-wide ecological health assessment of the Indian River Lagoon. Key water quality and habitat data have been analyzed and compared with established targets to compare healthy levels with historic levels over 20 years. MRC is working with a graphic design team right now to design the final educational products, which will include a 16-page report card, a website, utility bill insert, a brochure, and a website. Thanks to donations from community members like you, the first comprehensive look at lagoon-wide health using a scientifically-based methods is coming in February 2018! 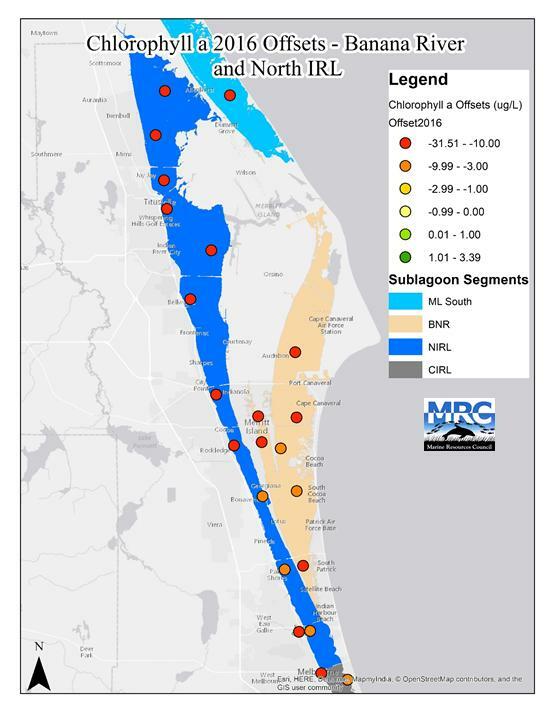 MRC and Brevard County Dept of Natural Resources Management have launched a study that will discover underground pollution that is reaching the lagoon. 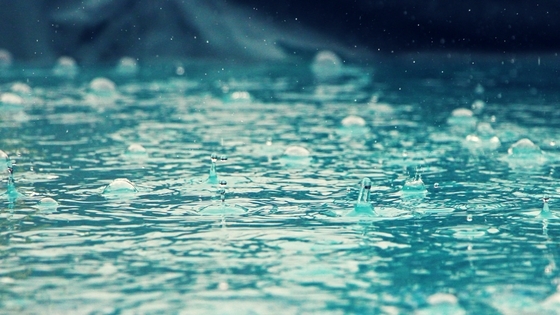 This important research will clarify the extent that groundwater is contaminated with wastewater leaking from sewage lines and septic tanks. The outcomes will help prioritize wastewater infrastructure improvement projects and refine pollutant load estimates. Pollution reaches the lagoon through stormwater, groundwater, tributaries and canals, and atmospheric deposition. Cleaning up the lagoon means addressing all the sources of pollution and Brevard County Natural Resources is investing in the science to get it done! This effort is funded by a State Legislative Appropriation submitted in 2015 and is separate from the Save our IRL sales tax. You can help! MRC is seeking a team of citizen scientists to train on groundwater sampling techniques and send out with scientists to collect data. The training and sampling will take less than one month. Let your inner scientist out and contribute to one of the most important scientific projects going on in the lagoon right now! Click here to register as an MRC volunteer or contact Kate Zehnder. They're on their way! A juvenile and another adult right whale were spotted November 9th off the coast of the Outer Banks in North Carolina! The 2018 North Atlantic right whale calving season kicked off on December 1st. The population estimate is now 451 individuals for the 2016 calendar year, down from 525 in 2015. 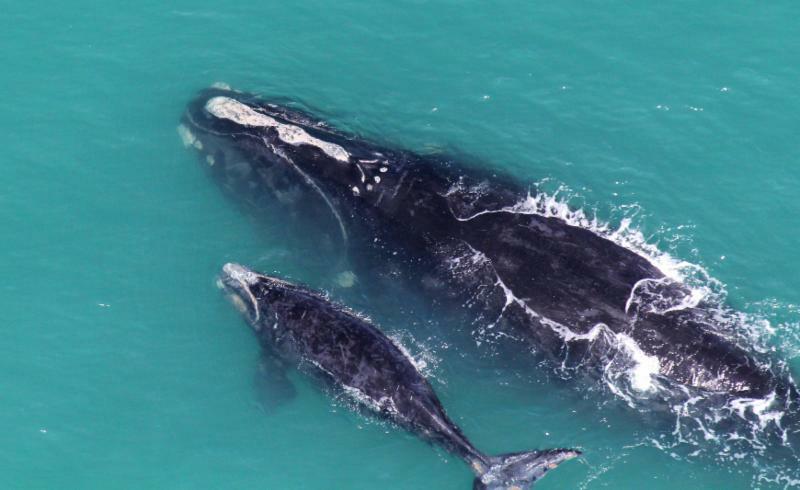 This new estimate does not include birth and death events from 2017, including only 5 calves were born to the population, while 16 right whales died between June 1 and Oct. 31. Keep your eyes peeled for right whales close to shore and report sightings to MRC's ho tline at 888-97-WHALE (888-979-4253). It is predicted that we might see more entangled whales than usual, so your efforts are crucial to getting help to those animals. This season, MRC has teamed up with the US Coast Guard Auxiliary for offshore right whale sightings. To find out more about right whale season, click here. For MRC's North Atlantic Right Whale Program, click here. For questions, contact Julie Albert, the MRC Right Whale Program Coordinator. Before we can remove muck from the lagoon, we need to know where it is and how much there is. That is where MRC's Muckfinders volunteers come in! 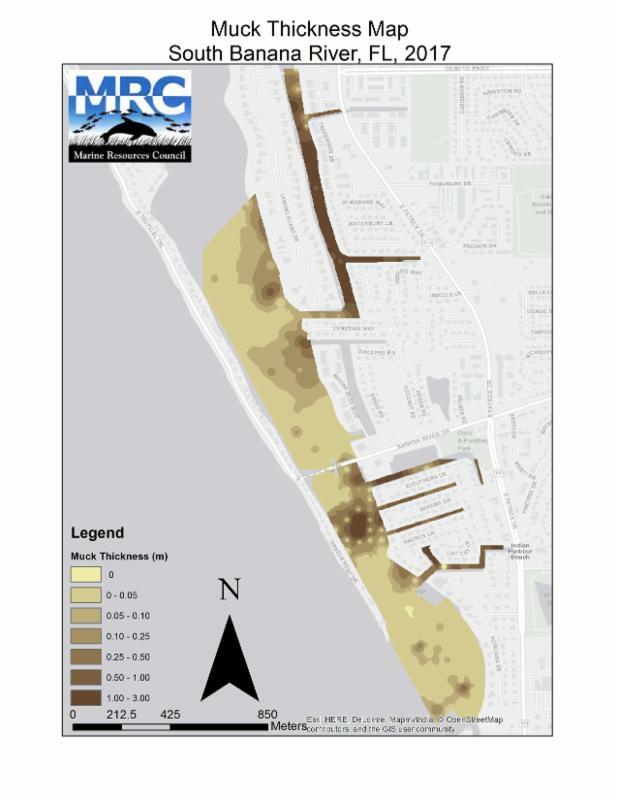 Thanks to the excellent work of over 25 trained citizen scientists, MRC has completed muck thickness maps for the South Banana River, Sykes Creek and Newfound Harbor to help Brevard County plan and manage muck removal projects. These citizen science volunteers collected water depth, muck depth and GPS coordinates from over 600 sites in five different areas of the lagoon over the past six months. Check out the rest of the new Muck Finders muck maps here. Expanded the long-standing LagoonWatch water quality monitoring program, partnering with volunteer monitoring programs throughout the lagoon to update and improve sampling techniques. 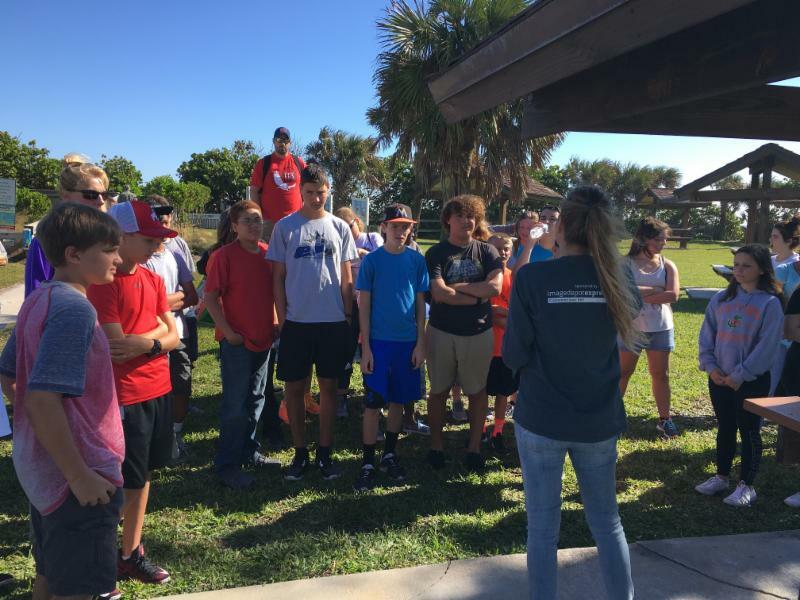 In November, MRC hosted a three day service learning field trip for Central Middle School to Pelican Beach, Paradise Beach and Ocean Park in Melbourne Beach. Students collected red and black mangroves to be grown in MRC's mangrove nursery and collected trash of the beaches. Thank you Central Middle School! If you enjoy collecting mangrove propagules or want to be part of MRCs mangrove farming team, contact Caity Savoia, MRC's Lead Scientist. Kate is the new Volunteer and Membership Coordinator at MRC! She grew up in Rochester, NY, where she was always very aware of the environmental issues facing the Great Lakes and St. Lawrence River. After moving to Florida to pursue a marine biology degree at FIT, Kate trained dolphins and sea lions in San Diego for the United States Navy . She is immensely passionate about preserving parks, reducing single-use plastics and adopting a zero waste lifestyle. Along with preserving the environment, she loves to spend her time hiking, back packing and rock climbing. 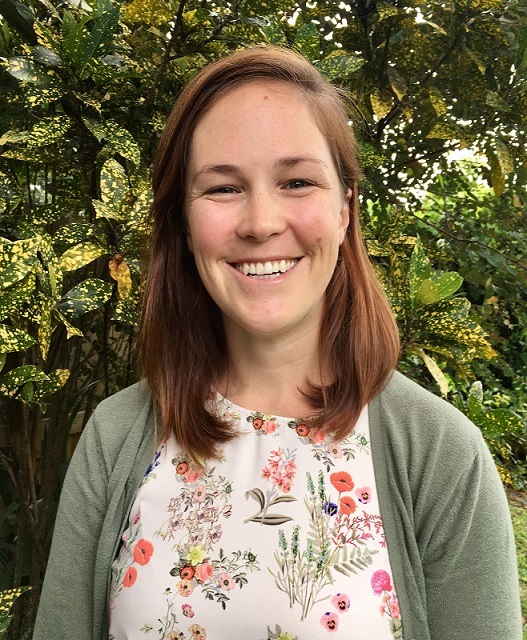 Since joining MRC, Kate has been instrumental in building MRC's membership database, reaching out to volunteers and cultivating our large MRC family! Contact Kate if you want to volunteer or need to up your membership! Join the MRC family today! This month, volunteer, Dennis Mayo, tackled the creation of MRC's Rain Barrel Irrigation System. This system consists of 8 interconnected rain barrels that allow us to collect rain water to irrigate our mangroves and gardens. 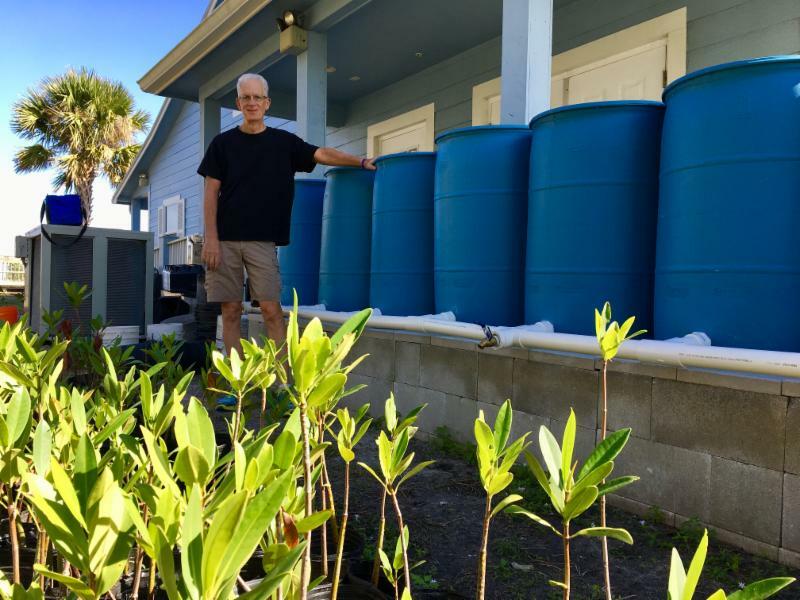 For nearly two years, Dennis has been a consistent face here at the Lagoon House, contributing his time to mangrove gardening, rain barrel construction, oyster shell drilling, and events. We were delighted when Dennis won a BMW for a Weekend at MRC's recent Margarita for Mangroves event! Thank you, Dennis, for all that you do for the lagoon! 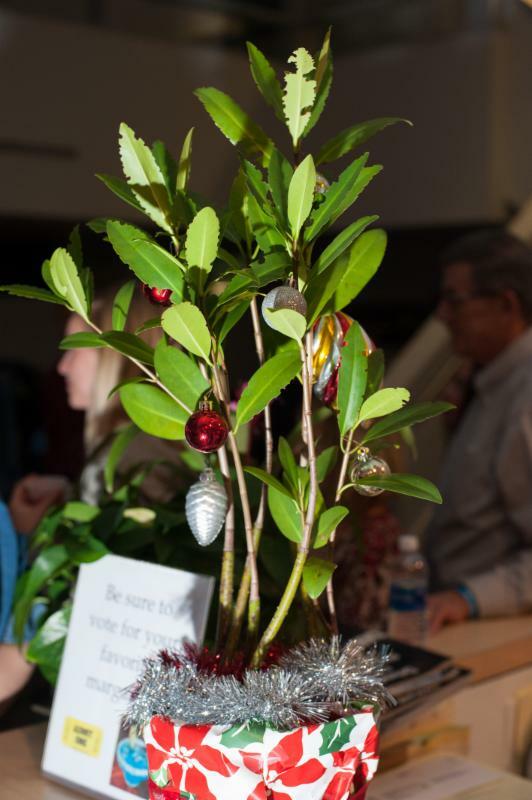 Thank you to everyone who supported our Margaritas for Mangroves Holiday Fundraiser! 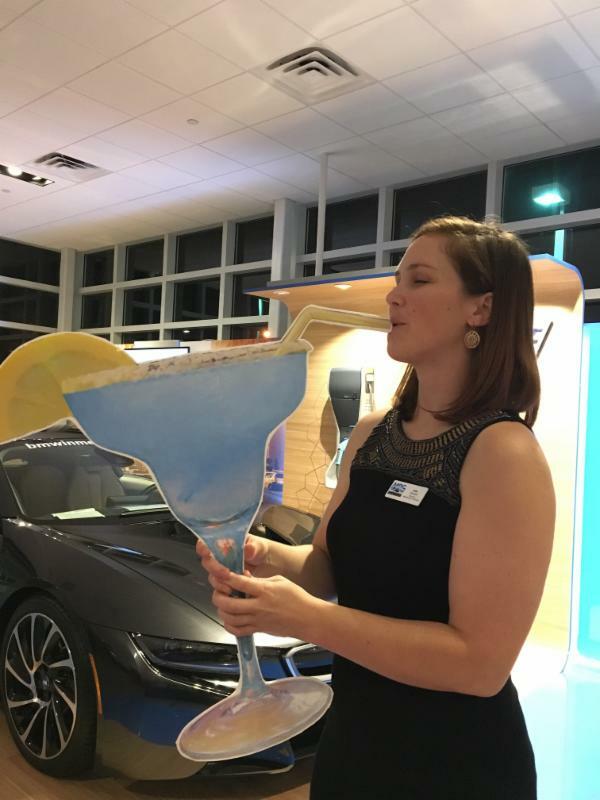 MRC and BMW partnered on the 2nd Annual Margarita for Mangroves event held at the Melbourne BMW dealership on US 1. Over 200 people attended the event, where 6 businesses competed against MRC and each other for the area's best Margarita. Revelers tasted 14 gourmet Margaritas while enjoying tapas and live music by local band, Vintage. The winning margarita was awarded to the event's reigning champion, Tequila Azul restaurant in the Avenues, who received a $1,500 media package from I Heart Radio. Paddling Paradise, an ecotour operator in Melbourne, won second place and a $500 media package from WFIT. 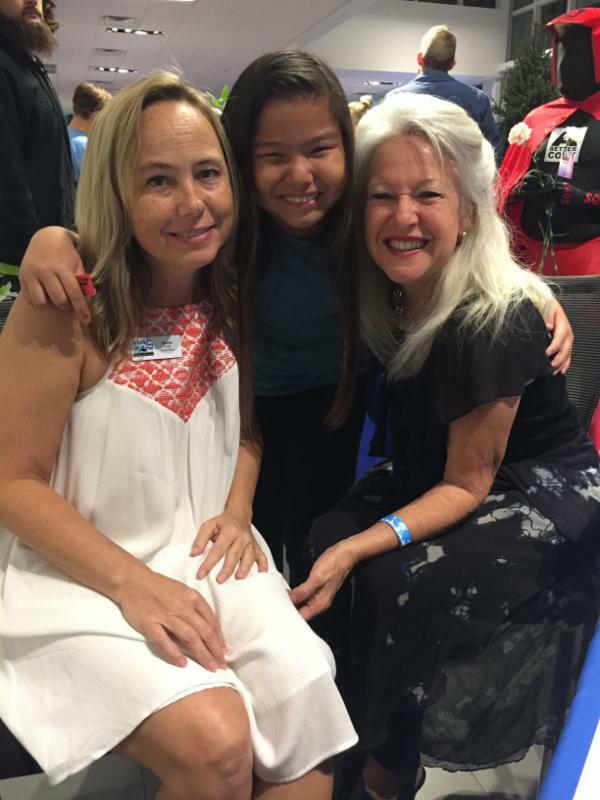 Thank you to the event sponsor, Melbourne BMW, the attendees, volunteer, staff who made this event such a success! Joanie Regan, the Stormwater Utility Manager for Cocoa Beach, will be discussing the benefit of Low Impact Development (LID) on the Lagoon. Throughout the IRL (and the world) we have been covering our Earth with impervious surfaces (i.e asphalt and concrete) in the form of roads, parking lots, buildings, sidewalks. In addition, we have been channeling rainfall into storm drains and pipes. The pure volume of storm runoff, with its brew of pollutants, overwhelms our receiving waters so that we can no longer swim and fish safely. LID retrofits the built environment, removing impervious surfaces and adding green infrastructure to allow the rain to drain into the soil as close to where it hits the ground. It also allows rain to replenish our aquifers, keeping saltwater intrusion at bay, and minimizes pollutants from entering our Lagoon.